Maybe you're a first time cruiser who wants to dip a toe tentatively into the water? 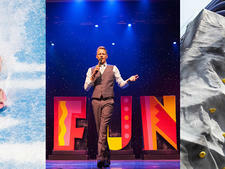 Or you'd rather blow your holiday budget on all-out luxury over fewer days? Cruising doesn't have to mean committing to a two or three-week sail to distant shores (as lovely as that sounds), there are lots of mini-cruises available, making it possible to cram a cruise into a long weekend. You can find 'taster' cruises as short as just one night, or longer ones of three- to four-nights -- so there's bound to be an itinerary to inspire you. Of course, a mini-cruise will limit the distance that you can comfortably cover, so a no-fly cruise close to home is a sensible choice as it means less time waiting around at airports and flying. And with local lines such as Cruise & Maritime Voyages offering 11 British ports to sail from, and Fred. Olsen Cruise Line offering 10, there's bound to be a mini-cruise departing near you. 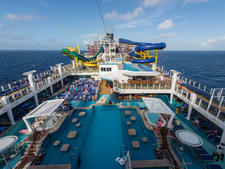 Here are our top 10 reasons to take a mini-cruise. If you're brand new to the world of cruising, a mini-cruise is a fantastic way to "try before you buy" -- or, at least, try before you buy an expensive longer cruise. So investing in a mini-cruise before you book a transatlantic trip, for example, is a sensible move. Hopefully, any concerns you might have about feeling seasick or claustrophobic, the food and accommodation options, being bored onboard or simply not enjoying cruising for any other reason will be dealt with and you'll join the ranks of cruising converts. And if you're really unsure, you can even pick up one-night taster cruises within the U.K. for less than £100 per person (which usually coincide with the ship repositioning from one port to another). Fred. Olsen, for example, is offering one-nighters from London to Southampton, and from Glasgow to Liverpool, during 2017; and Cruise & Maritime Voyages offers one- and two-night taster voyages throughout 2017 from Tilbury to France. Even if you're not completely new to cruising, a mini-cruise offers the chance to test a new ship, cruise line or destination before you make the switch. Experiences can vary wildly between the different cruise lines -- from hip Celebrity Cruises, to more formal cruising on Cunard, older lines such as Saga, Fred. Olsen Cruise Lines and CMV to family-friendly lines such as P&O Cruises, Thomson Cruises, Royal Caribbean and Norwegian Cruise Line -- so loving one doesn't necessarily mean you'll love another. Booking a few nights onboard is a brilliant way to test the waters. Forget camping or holiday parks. If you're looking for a budget holiday that still offers a little luxury (and a proper bed) a mini-cruise is the perfect purse-friendly option. For example, you could sail away on Cunard's Queen Mary 2, Queen Victoria or Queen Elizabeth to a number of nearby destinations including Bruges, Hamburg, Amsterdam and Guernsey, from under £200. You'll feel like royalty as you enjoy luxurious amenities including 24-hour room service, traditional afternoon tea, nightly turndown and the renowned White Star Service -- which sets out to go above and beyond passengers' expectations -- without having to pay a king's ransom for the privilege. If it's time rather than money you're short of, a mini-cruise is the ideal choice for a quick holiday fix. Even a two-night cruise can take you to another country, making it easy to squeeze an adventure into a weekend -- and fantastic cruise ship facilities make getting there all part of the holiday. 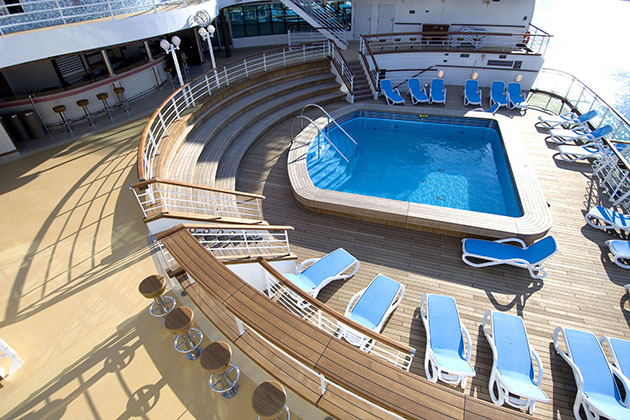 On P&O Cruises Ventura, for example, you can dine in a Michelin-starred restaurant, hit the casino, enjoy a swim, relax in the spa and even learn circus skills at Cirque Ventura. Learning to juggle while cruising to Ireland, Belgium or France will definitely be a talking point when your colleagues ask what you've been up to at the weekend. A mini-cruise is a great way to discover destinations on your doorstep. Cruise & Maritime Voyages, Fred. 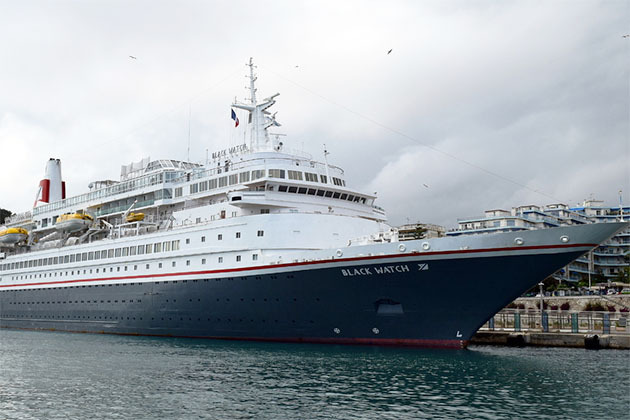 Olsen and P&O Cruises are three U.K. cruise lines to consider for exploring the British Isles and nearby destinations like the Channel Islands, France and Belgium. You can pack much more into a few days when you leave the car at home and cruise between destinations. For example, a four-night cruise from Southampton allows you a day in Amsterdam and a day in Bruges -- three different close-to-home countries in one long weekend. If experiencing four or five-star luxury is your kind of holiday, it's possible to taste the high life without breaking the bank when you scale down your cruise holiday duration. You can sail between Nice, Portofino and St Tropez on the beautiful Azamara Quest, for example, enjoying three nights of all inclusive luxury (from £899), or spend five nights on a Star Clippers masted tall ship cruising on your choice of a Spain, Portugal and Morocco or Italy, Malta and Greece itinerary (from £1,399), making you the envy of your friends while still keeping the bank manager happy. When you choose a no-fly mini-cruise you cut out the airport hassles that usually come with a holiday, which you don't want to deal with when holiday time is short. Although Southampton is the U.K.'s largest cruise port, many lines sail from other ports too, so it's possible to choose an on-the-doorstep departure. For example, Fred. Olsen sails from Southampton, Dover, Liverpool, Newcastle, Harwich, Falmouth, London, Glasgow (Greenock), Edinburgh (Rosyth) and Belfast; CMV also sails from Tilbury, Essex. If you've only got the time and money for a short break, a cruise allows you to cram as much as possible into what time you have available. Instead of trekking across a city to find the best bars and restaurants, you'll have them just steps from your cabin door. The bigger ships have other attractions, with everything from waterparks, cinemas, rock climbing walls, sky diving, ziplines and more. On some Royal Caribbean ships you can surf, skydive or ice skate, then stroll back to your cabin for a quick change before heading out to dinner and a West End show -- with no worries about getting a taxi at the end of the night. If you've got a group holiday like a hen party or a birthday celebration to plan, a themed mini-cruise will take all the hassle out of the organisation. 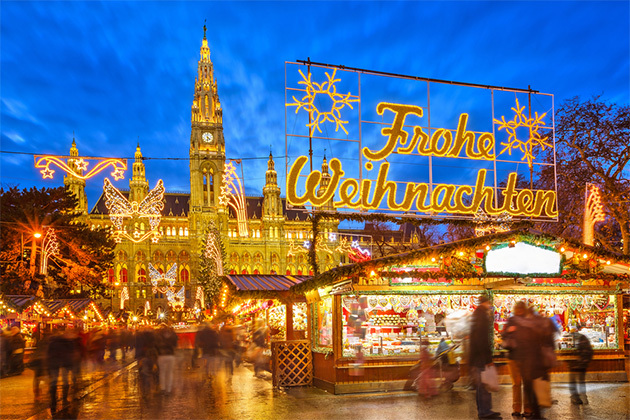 Christmas market cruises are popular, combining shopping with festive fun. Choose from a long list of possible destinations including Dublin, Antwerp, Amsterdam, Bruges and Hamburg. For those who like holidays to last as long as possible, adding a mini-cruise onto the end of a break can make a getaway extra special. 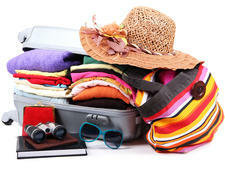 Wherever you jet off to, tagging on a cruise is usually easy and will add a whole new element to your experience. 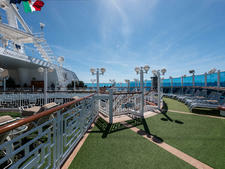 Many travel agents and cruise lines offer cruise and stay options, where they'll organise the package for you. Two nights in Barcelona followed by a five night cruise around the Mediterranean on Disney Magic might be a front-runner for families with young children. 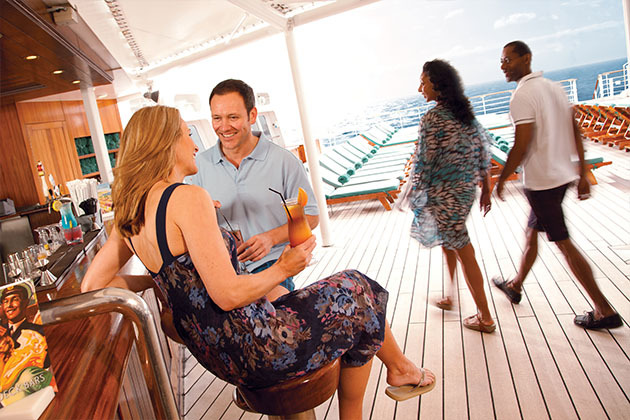 Or maybe you fancy adding a Caribbean cruise onto a long haul escape? 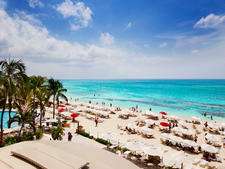 Royal Caribbean and Carnival Cruises have lots of three or four-night island-hop cruises to choose from.